An unexpected storm flooded the streets of Honduras starting at 3:30 pm yesterday with high winds hitting the city and reportedly much of the country for 30 minute s straight. 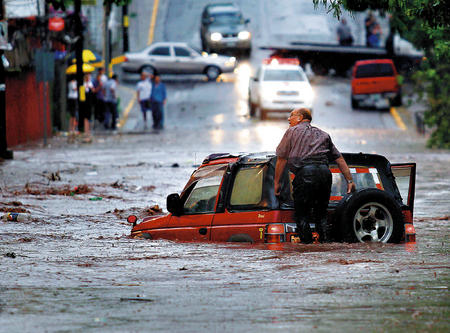 More than a dozen vehicles were damaged and over 45 homes were flooded. There were fallen trees and an electricity outage in various parts of the capital. Please pray for the people of Tegucigalpa, Honduras.